Please Take Note: This is a review of the game’s final prototype. The art, game bits, and the rules discussed are all subject to change. The game is being reviewed on the components and the rules provided with the understanding that “what you see is not what you might get” when the game is published. If you like what you read and want to learn more, we encourage you to visit the game’s Kickstarter campaign. Now that we have all that disclaimer junk out of the way, on with the review! Gather the right animals to make exciting exhibits to draw in large crowds! Do you remember your first time to the zoo as a child? That moment when you looked into an exhibit and felt like you were magically teleported to the African savanna or a tropical rain forest? Zoos have fascinated us for generations and serve not only as a wonderful way to learn about the diversity of life on our planet, but also to spark an interest in the welfare of animals that have led many to dedicate their lives to protect them. Start your own journey at your gaming table and build a zoo! Zooligans, a game designed by Gregory Hingle and Dustin Oakley and to be published by 800 Steps, will reportedly be comprised of 66 Animal cards, 12 Auction cards, 12 Exhibit Goal cards, 6 Zoo Bonus cards, and 6 Continent cards. As this is a review of a prebublished game, we will not comment on the game component quality or layout. Heck, the game components that we have listed are already incorrect based on the overfunding goals that have been reached. You know what? Forget about what we suggest is in the game because we simply don’t know. Note: the following game set up is for the standard game only. Refer to the Game Variants section below for details on the different ways to play Zooligans. To set up the game, first separate all the cards into their individual decks by card type. In total, there should be 5 decks. Each card type (Animal, Auction, Exhibit Goal, Zoo Bonus, and Continent) have a specific colored back. This makes the process of separating the cards a quick and easy one. Once all the cards are placed into their individual decks by card type, shuffle each deck thoroughly. Second, deal out 2 Zoo Bonus cards and read them out loud to the table. Set the Zoo Bonus cards to one side of the playing area, face-up, and place the remaining Zoo Bonus cards back in the game box. Third, deal 1 Continent card to each player, face-down. Players should look at this card, but never show it to any of their opponents, as these cards are used at the end of the game to score additional points. Any unused Continent cards are placed back in the box. Make sure no players see what Continent cards are removed from the game. Fourth, take the Auction deck and place it in front of a player, face-down. This player will be the first “Auctioneer”. If playing with 5 o r 6 players, deal 2 Auction cards at random and remove them from the game without showing them to any player. Fifth, deal 3 Animal cards to each player. The Animal deck is then placed in the middle of the playing area, face-down. Sixth, deal 3 Exhibit Goal cards to the middle of the playing area face-up in a row. Place the Exhibit Goal deck next to the Animal deck, face-down. That’s it for game set up. Let’s play! The game is played in 12 or less turns that are comprised of several phases. All the players at the table participate in each phase simultaneously. These phases are summarized here. Note that a player will have 3 different locations of play during the game. The first is their hand which contains any Animal cards they have not yet played. The second is the Animal cards they have played to the table but are not yet assigned to an exhibit. The third is the stack of Animal cards that are under the Exhibit goal cards they have completed. The first phase imitates an auction of a special group of animals (including a Great White Shark). None of the animals in the Auction deck are necessary to win the game. Indeed, a player might or might not even care for the animal that is revealed if it weren’t for the fact that each of the Animal cards in the Auction deck are found all over the world. This is important because at the end of the game players will be awarded additional points for Animal cards in exhibits that match the player’s Continent card. Any Animal card that is “worldwide” will count as points! The player who is the current auctioneer will flip over and reveal the top card on the Auction deck and place it down in front of them, face-up Then, starting with the auctioneer, each player has an opportunity to bid on the animal shown on the Auctioneer card. This is done by using the Animal cards that list a coin value on the card’s upper left corner face. The player calls out the card’s value and places it in front of them, face-up. The next player in turn order sequence now must either call out a bid using 1 Animal card that is equal to or higher than the last coin value played or pass. Any player who passes is out for the duration of this phase. When all but one player have passed, the action phase ends and the Auction card is awarded to the player who won the bid, placing it into their hand and discarding all the Animal cards they used to win the bid. Everyone else retrieves their Animal cards. If there is a tie or no one bids, the Auction card is discarded. 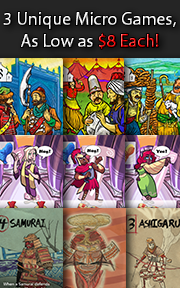 Once the auction is completed, the Auction deck is passed to the next player in turn order sequence to be used by them during the next turn. The second phase allows each player to play 1 card from their hand to their zoo. This Animal card is placed face-down in front of them. Once every player has a face-down card in front of them, all the played cards are revealed simultaneously. Note that Animal cards are not automatically assigned an exhibit. Thematically speaking, the card being played signifies that the player’s zoo will be receiving the animal in question. The third phase allows the players to attach their Animal cards to existing exhibits and create new exhibits for their zoo. Each of the Exhibit Goal cards lists the type of exhibit and the necessary animals that are needed to complete it. Animals are never put into an exhibit until the player has enough to fully complete the exhibit in question. For example, if an exhibit required 4 birds, the player couldn’t play to the exhibit until they had 4 bird Animal cards. Further complicating the job of each player whilst planing their zoo is that each Animal can only be assigned one exhibit, meaning a player needs to determine how best to showcase each of their Animal cards for maximum points (recorded as “Visitors”) at the end of the game. When a player has enough Animal cards showing to complete an Exhibit Goal card, they take the Exhibit Goal card and place it in front of them and then place all the Animal cards assigned to it underneath it in a pile. Animals placed in the exhibit cannot be used for anything else in the game, but more Animal cards can always be added to the exhibit. This exhibit is now complete. If more than one player can successfully complete an Exhibit Goal, the player who can provide more than the minimum number of animals required to the exhibit will be able to retrieve the Exhibit Goal card. For example, if 2 players have the 4 bird Animal cards necessary to complete an exhibit, it will only go to one of the two players if one of them chooses to play 5 or more bird Animal cards to it. When an Exhibit Goal card is completed and claimed, it is immediately replaced so there are always 3 Exhibit Goal cards showing. The newly played Exhibit Goal card can be claimed during this phase. The fourth phase allows players to assign or move existing zoo bonuses based on any newly acquired or updated exhibits. The two Zoo Bonus cards in play are assigned to the exhibits that best meet the bonus card’s criteria. For example, the Most Endangered Animals Zoo Bonus card is awarded to the player who currently has the most endangered animals safely guarded in completed exhibits. The Zoo Bonus cards are placed next to the player who gets them. If there is a tie, the Zoo Bonus card remains in the same position it currently is in (either with a player or not yet claimed). The fifth phase allows the players to trade the played and revealed Animals cards that are not yet assigned to an exhibit. If a player wants to participate, they take their hand of cards and place them face-down next to them to signify they are willing to trade. Players now talk among themselves and make as many trades as they like using only the Animal cards that are on the table but not yet assigned to an exhibit. There is no limit to the number of Animal cards that can be traded or how many times a single Animal card can trade hands. When traded, the Animal card switches owners and is placed in front of the new owner along with any other Animal cards they might have. When a player is done trading, they pick up their hand of cards to show the table that they are no longer interested in trades. The sixth and final phase allows each player to discard any cards in their hand to the discard pile and then draw back up to a maximum of 3 Animal cards. If the Animal deck is ever exhausted, shuffle the discard pile to create a new Animal deck to draw from. This completes the turn. A new turn now begins with the new auctioneer starting with phase 1 above, unless the endgame has been triggered. When the last Auction card is played, complete the turn through all the phases and then proceed to final scoring. If the final Exhibit Goal card is claimed, all players can now move all their Animal cards that qualify to existing exhibits if possible and the Zoo Bonus cards are reassigned where applicable. The Trade and Discard & Draw phases are skipped and the players go immediately to final scoring. Final scoring is completed using the following steps. Discard all cards still in the players’ hands and any Animal cards not yet assigned to an exhibit. Add the Visitor number values noted on each of the Exhibit Goal cards and any Zoo Bonus cards. Reveal Continent cards and score an additional visitor for each Animal card that meets the Continent card criteria. Players add up all their visitors and the player with the most visitors has the most successful zoo, winning the game. Congratulations! Zooligans comes with several game variants. They are summarized here. This version of the game is recommended for new players not familiar with Zooligans or for younger Child Geeks. Only the Animal cards and the Exhibit Goal cards are used (meaning there are no auctions to worry about, no bonuses to fight over, and no continental theme to work towards). This makes the game fast to play and exceedingly light, but it’s very easy to introduce the other decks into the game. For example, the teacher of the game could start with the Animal and Exhibition Goal cards for the first game and then introduce the Continent cards for the second. Zooligans can be played as a solitaire experience. The Zoo Bonus cards are not used and the auction phase is a bit different. When the Auction card is flipped over and revealed, the player decides which one of their Animal cards they will use to bid (bidding is mandatory). The player then flips over the top Animal card from the Animal card deck. If the coin value on the player’s card is higher than or equal to the coin value shown on the flipped over Animal card from the Animal deck, they win the Auction card and discard their card they used in the bid. Otherwise, the Auction card is discarded. Endgame and final scoring is the same as the standard game. Team play allows 4 or 6 players to play in pairs as a single team. Teams sit across from each other and are welcome to share what cards they have in their hand and their Continent cards. Teams can also talk among themselves at anytime during the game to help them make decisions. Team members cannot trade Animal cards among themselves, however. Game play is the same as the standard game, but points are added together from both members of the team to create the team’s score. The team with the highest score wins the game. This game variant allows for tournament style game play. The standard game rules apply, but the players will be playing multiple games. After the first game, the player with the least amount of points is dismissed from the table and the remaining players start a new game. After the second game is over, players count their scores and add them to the previous scores from their last game. Again, the player who has the least amount of points is dismissed from the table. Game play continues in this fashion until only one player remains. To learn more about Zooligans, visit the game’s Kickstarter campaign. Zombies and zoos. Two game themes that always tend to draw people to the table. As different as the day is long, and yet they both seem to instantly appeal to players. I can understand the zombie appeal, and it’s perhaps the wonderment that we felt as children that never truly left us as adults that makes us gravitate towards animal games. Or it could be that owning a zoo is the next best thing to owning your very own amusement park or candy factory. Regardless of an individual’s personal reasons, zoos and animals always seem to be a hit more than a miss. Even when the “zoo” theme is more or less pasted on. And for those games where zoos and animals are as much a part of the game as the game itself, the game is even more enjoyable. Zooloretto Mini is an excellent example of a game where the players are working towards building a zoo, breeding animals, and attempting to (essentially) “load balance” within a limited space. 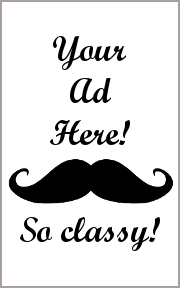 I predict Zooligans will do very well with the Child and Parent Geeks. The game rules describe what sounds like a fast and meaningful game playing experience. There appears to be enough of a challenge in card selection and hand management to make Zooligans a card game that demands more from their players than other family friendly card games, which should appeal to the Parent Geeks – especially those who enjoy more complex games. But Zooligans is not complex by any means. The icons are easy to match and the means in which players collect points is easy to understand and to utilize. This should make the learning curve a small one for all involved. For the Gamer Geeks, I think they will “tolerate” Zooligans at best. The game designers clearly know how games work and have introduced a number of more complicated game mechanism into the game’s overall design. The Gamer Geeks will immediately recognize them and then most likely be disappointed. The level of complexity that is introduced through the game mechanisms falls well short of what any Gamer Geek would suggest requires anything more than a brief moment of analysis. Even so, I do not see anything in Zooligans that will cause the Gamer Geeks to rage against the game. It looks to be solid. All that it appears to lack is enough depth of play to keep the Gamer Geeks interested. Teaching Zooligans is best done by dealing a hand and demonstrating each phase. This is because each phase of the game seamlessly blends into the next, but individually is difficult to understand without describing it within the context of what came before it and what comes after it. I suggest you also take a moment to ensure that all the players understand how the exhibits are collected and used. Most of our questions were focused on how players could make points and then keep making points throughout the game. You should also make certain players recognize that they will never really know how many points their opponents have because the Animal cards underneath the exhibits are hidden under the card. This fact usually got a few sly smiles from our players. After teaching the game to my oldest little geek, he felt very comfortable with it and most of his question were about the cards and making sure he understood what I told him. Zooligans is a game that requires some reading, but not a lot. Depending on your Child Geek’s reading skill level, Zooligans might or might not be playable by them. For the most part, the icons used in the game will be sufficient. Do invite them to join you at the table as a partner if they cannot read on their own and do take the time to simply read the cards to your Child Geeks. Each Animal card has a lot of neat animal-related information and are fun to talk about. And so, after answering all my little geek’s questions, I asked him his thoughts on Zooligans so far. His confusion was his misunderstanding of what the coin value and the visitor count values were and meant. To my little geek’s credit, he’s played enough games now to instantly recognize “money” as often times being points towards the end of the game. Not the case for Zooligans. Let’s play the card game and see if it allows us to build a zoo full of fun! The Child Geeks had a great time playing Zooligans and really got into adding different animals to their exhibits. They demonstrated a solid understanding of the game rules, but always terribly overbid on the animals in the auction. Never to a point where they lost all their cards, mind you, but it was obvious that many times over they were bidding on animals because they were “cool” rather than attempting to win them for points. Which, you know, is perfectly fine. It’s hard to tell a player “you are doing it wrong” if they are enjoying themselves thoroughly Best of all, a number of the Child Geeks would take the deck of cards and just read them to learn more about the animals long after the game was over. 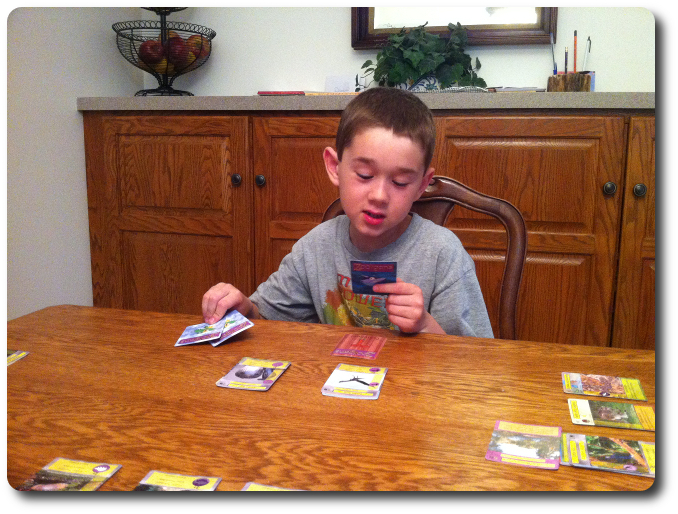 Zooligans is very easy to understand, and we never saw any of the Child Geeks get lost or confused during the games. At most, they pouted when an exhibit they were looking to claim was grabbed before they had a chance to claim it for their own. And don’t even get me started about how cool they thought the Great White Shark was. Zooligans was eagerly approved by the Child Geeks. The Parent Geeks enjoyed the game on a number of different levels. First, they were in full agreement with the Child Geeks that Zooligans was a fun game to play. They found it to be very casual and social. They really appreciated that the game play included everyone from the very start. With their peers, the Parent Geeks found Zooligans to be a bit too simple, but a fun time and an easy game to play with non-gamers or in loud rooms. With their Child Geeks, the Parent Geeks found Zooligans to be a very worthwhile and educational family game that provided entertainment and knowledge. When the Parent Geeks went to trade with the Child Geeks, they always made it a point to have the Child Geeks read the Animal card out loud and then everyone would comment about how “cool” or “awesome” or “radical” the animal was. According to one Parent Geek, “This is an excellent game to introduce to new players. Lots of neat game rules to play with, and because it’s about animals and zoos, it’s something that everyone can relate to!” Very true. The Parent Geeks’ judged the game to be “OK” at the least and “Great Fun” at the most. Al the Parent Geeks voted to approve it. The Gamer Geeks voted to not approve the game. Zooligans is a very tight and well structured, but it lacks a great deal of the necessary depth, strategy and tactics that Gamer Geeks always look for. According to one Gamer Geek, “This game is very well designed and it’s clear that the game designers knew what they were doing, but – (long pause) – it just isn’t a game that I would want to play with other Gamer Geeks.” Another Gamer Geek suggested that it was “the best animal-themed card game I have ever played.” Despite not getting the coveted Gamer Geek approval, the game was awarded solid nods of respect. They found Zooligans to be a good game, but would not suggest that it was a card game for the gamer elitist. Zooligans is a very well thought-out game. Each phase is meaningful, keeps all the players active, and the entire game playing experience is very smooth. The game also promotes conversation and education regarding the many wonderful and highly diverse animals that populate our planet. The only other game I have played that provided so much conversation about animals was Fauna, which remains one of my more favorite family board games to bring out with mixed groups. The game simply “works”, which is great, but it fails to keep more advanced players interested. As noted by the Gamer Geeks, Zooligans lacks depth and I agree with the Gamer Geeks and their suggestion that Zooligans doesn’t’ have much in the way of strategy or tactics. Clearly, players do need to think through their turn, but I believe the game requires a great deal of logical thinking and critical decision making and not an in-depth analysis of game play to derive a winning strategy and competitive tactics. How to win the game is very straight forward, and there is nothing a player can do to stop other players from getting points other than just being faster. Even so, I think Zooligans is a wonderful game. It introduces entertaining game mechanisms that are easy to learn and fun to play with. After playing the game a number of times, I am pleased to report that every session left me feeling like I played a game that was worth my time. As far as family focused and casual card games go, Zooligans certainly fits the mold but does not break it. While it did not please the Gamer Geek in me, I am very pleased with the game from a Parent Geek perspective. 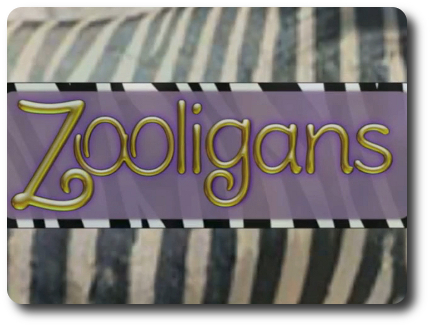 If building zoos of your own and learning about animals is your thing, do take a look at Zooligans.